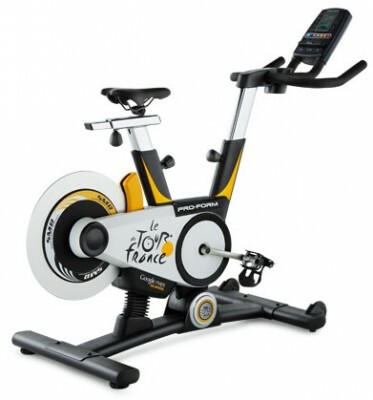 The ProForm Tour de France 2011 Indoor Cycle is unlike any Indoor Cycle or Spin Bike currently on the market and can really add some fun to your otherwise serious indoor workout and training routine. It is the Official Training Bike of Le Tour de France. ToughTrain 3.0 out of 5 A perfect bike for proffesional training. Highly recommended. *Note: Most of the sites, stores or shopping portals listed above sell ProForm Tour de France Indoor Cycle 2011 with discounts and other exciting offers. There is a possibility that the some of above websites are not selling ProForm Tour de France Indoor Cycle 2011 now. Toughtrain.com is not liable for such cases or instances. Also we do not recommend any seller for ProForm Tour de France Indoor Cycle 2011 and a buyer should buy from where he/she gets best deal with quality of products, service and on time delivery (shipment).